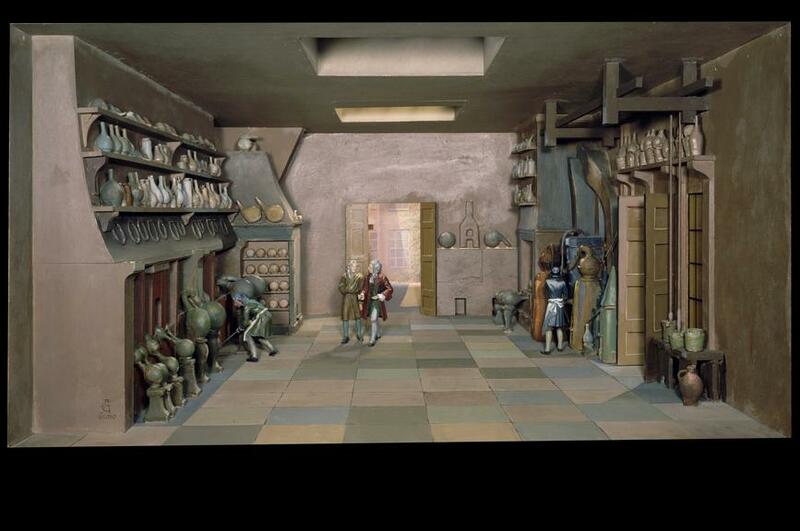 Ambrose Godfrey Hanckwitz (1660-1741), a German chemist, set up a drug making laboratory (much like the one in this diorama) in London, 1680. Large furnaces and chemical equipment line the room. Ambrose Godfrey, as he became known, was an assistant to Robert Boyle (1627-1691), an Irish chemist. After Boyle discovered a way of making solid phosphorous in 1680, Godfrey made this the basis of his drug manufacturing business and held the monopoly over this ingredient for forty years. Godfrey’s business went on to become Godfrey & Cooke, a firm of chemists still in business at the beginning of the 1900s. 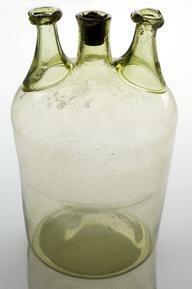 Godfrey also researched spa waters, which were believed to have curative properties.